We were lucky to spend some of the past four Thanksgivings with new friends, but most were spent alone either eating a non-traditional turkey-day meal just the two of us, or going out to eat. That is why we are thankful Luke’s parents are only two hours south of our new home. We were able to travel down after Luke’s work on Wednesday and will be with his family for the weekend. After the chaos of the last two weeks, it will be nice to have no agenda other than to eat good food and spend quality time with family. We have so much to be grateful for, for: safe travel across the U.S., family close by who were able to help us move and settle in, Luke’s new job, our new rental home, and for all of the amazing things we know are ahead for us in our new home town. 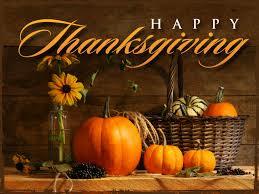 Today we are very thankful for such much and wish you all a wonderful Thanksgiving! We have been in our rental home in Centralia for a little over a week and it’s amazing what has gotten done in such as short amount of time. The road trip went well. Kira loved the car rides, rest stops, and adapted quickly to the routine. We found several pet friendly hotel chains including Super 8 and Quality Inn that made it easier with our pet. We arrived Sunday afternoon the 13th after five full days on the road. We got keys to the home, and met up with my mother and in-laws who helped us unpack the moving truck. With their help, mainly Luke and John, we got the truck completely unpacked before dark on Sunday. Monday was spent organizing the boxes and unpacking the essentials. By the end of that day we had the kitchen mostly unpacked and furniture arranged in our room and the living room/dining room. Although this home is much smaller than our Wayland home, it is still larger then the home we had in Corning, and we have enough garage space and attic room for all of our boxes. The only things that will be missed are the dishwasher and microwave. But we’ve lived without both of them before. We gave the in-laws a tour of the area on Tuesday then they returned home. My mother stayed the rest of the week to help me organize the house. Together we were able to get the house cleaned, organize the boxes that were left, and take care of a few “new address and state” related business items while Luke started his new job. Even though I have lived most of my life in the suburbs, the past two years of quiet country life has definitely changed me. We are only a block or two from the college, there is a day-care around the corner, and we are only a few streets away from old downtown Centralia. All of this makes for easy access to a lot of stores, but it also increases the street traffic and noises outside. Speaking of noise, since we are in “hub city” we also hear freight trains at all hours of the day. Again these are only temporary adjustments. In the mean time it is hard to believe we are ten to fifteen minutes away from all that we could need: restaurants, grocery stores, pharmacy, gas stations, the freeway, the hospital, Luke’s work, and we are not far from entertainment like a movie theatre, a bowling alley, mini golf, and a roller rink. Plus we are now in the same time zone as family and friends, making it easier to find time to talk and Skype. We are beyond grateful and blessed for the help we received getting here and getting settled in, and for our new home in Centralia WA. Coming Home . . .
Have you ever traveled somewhere, on vacation or for business that you have never been to before? The longer you stay there and take in the environment, the people, the food, the weather, the music, the place grows on you; it feels oddly familiar. Somehow although surrounded by strangers, this place begins to feel like home. This is how I feel about Washington. I grew up in Southern California and moved to Washington State to go to college. My college years had their ups and downs, but in those four years I fell in love with the state. Many people were concerned that a sunny California girl would struggle with the winter darkness at 4pm or the days of rain without end. Instead I thrived on the evergreen hills the rain created, the musty wet earth, the lakes and rivers. A favorite college pastime for me was to follow rain drops as they trickled down the window of a coffee shop, nursing a latte, while contemplating what I had been studying. My rain boots became a great investment along with my fleece jacket and a growing collection of scarves and hats accompanied by chunky earnings. I learned to recognize the different types of rain: mist, drizzle, light, downpour, and icy and appreciate them all. I fell in love watching the season change: the rain or snow covered evergreens in winter, the cherry blossoms in spring, the sail boats on the lake in the summer, the bright colors of fall leaves. The epicenter for many booming businesses made the environment breathe of creativity. The food was inventive, cross cultural, hybrid, “fusion” before that became a thing. Traveling around after college I found the foodie fads I experienced in college were years ahead of reaching the interests of businesses in the rest of the country. Art and music reached beyond emotions expressing socital concerns. From ironic to fringe to experimental every show, festival, and farmers market had artists and entertainers pushing all forms of social norm boundaries. I learned to appreciate alternative, folk, and indie music, artists who were poets, performers, singers, and musicians all in one. I recognize these reflections are biased of a specific season in my life. I realize I am not returning to college, or even to the same county or city. But some of those memories, those realities I believe will still hold true, even in a new city and a new place of life. I know I have changed since college and so has Washington. But I am looking forward to re-discovering myself and this state. And and yet this move in some ways, still feels like coming home. Luke and I are now on a new adventure, traveling across the country to our next home in Centralia Washington. We are excited and nervous about the new roles and responsibilities ahead. We will be without internet for the week of travel, and possibly for a few days after we re-settle. But keep your eyes open for an update on our move before Thanksgiving. Upstate New York has been our home for the past four years. We have spent our entire married life here with many new experiences: buying and managing a home, raising a puppy, learning our roles as husband and wife, expanding our experiences in our careers. If you have been reading this blog from the beginning, then you have lived through most of those moments with us. It has been a rewarding and sometimes challenging season in our lives. And of course we will miss it all. We will miss the rolling hills of dairy farms, the crisp fall air, the quiet snow days, the spring flowers, the summer festivals and fireworks and how houses are decorated for every season. Luke and I have been blessed with great jobs while living here. where we could connect with colleagues, be challenged in our fields, and encouraged. We will also miss those who have been apart of our lives out here, even if for short time, sharing in our interests and helping us feel connected far from family. But tomorrow we leave for our cross country journey and so it’s time for us to say goodbye. The good news is although A. Greene’s Adventures started on the East Coast we are bringing it back with us to the West Coast. So if you have become a part of our lives on the East Coast, you can still share in our lives through this blog. Our adventures our far from over so I hope you will continue to join us as we transition, transcend, and transform.